Kate Walsh, the gorgeous redhead from Private Practice, has just introduced her new fragrance. 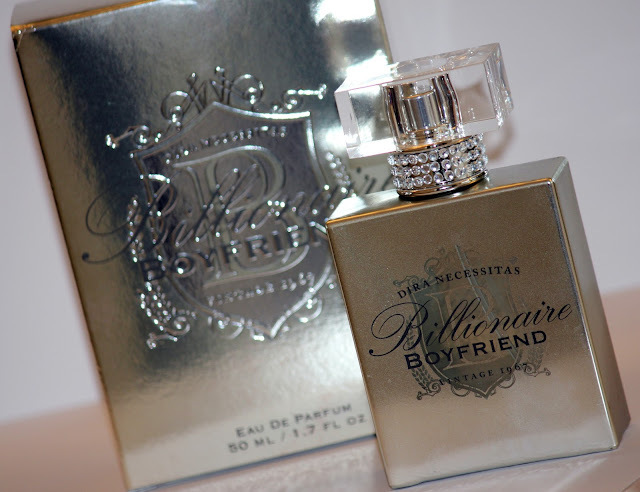 "Evocative of the finer things in life, I created Billionaire Boyfriend for women to experience a fantasy - one that involves a glamorous, new boyfriend, one that happens to be a billionaire. The scent immerses those who wear it in ultimate, unsurpassed luxury." while i can't endorse the name (something about needing a "Billionaire" to make you happy just rubs me the wrong way) i can endorse the scent. this fragrance is beautiful. Kate worked with a renowned france house and perfumer to create this scent, and it shows. there are hints of jasmine, orchid, gardenia, as well as sandalwood and golden amber. i sprayed this on my wrist and neck and was breathing happy for the entire day. in fact, i have been wearing it daily. released just this month, you can get your hands on Kate's Billionaire Boyfriend by heading to Sephora (www.sephora.com) or HSN (www.hsn.com). i am always a fan of perfumes. there is something so attractive about smelling good. i know when i catch a hint of Tman's cologne, i swoon a tiny bit. while i haven't asked him if he feels the same way about me, i imagine there is a similar effect. if you are not a perfume wearer, i would definitely suggest beginning. find a scent you love and WEAR IT (how many of you have bottles sitting unused?!) Billionaire Boyfriend is a good place to start. Love her. She's one of the prettiest redheads on TV. What a catchy name too. I'd love to try this perfume.